drop the trailer and park! What a wonderful "backyard" this was! And what a wonderful host! Mike greeted us the minute we arrived. His instructions were timely and precise. Not that Fernandina is a metropolis by any means. It's a beautiful little beach town. Mike's place is equidistant from the downtown area with great bars and restaurants; the marina and the Atlantic Ocean. You could walk to all of these places in a pinch. Mike's backyard is large and green and flat. What more could you ask for an RV? He also has a fire pit, tables and chairs and a hammock! Not that we were there long enough to use these things but it was just nice to see them when we came and left. This is a unique opportunity in a beautiful place just north of Jacksonville and two hours south of Savannah. One of the best overnight's we've ever had. We will be back! Mike's place is close to the beach and walking distance to downtown Fernandina Beach. He was super nice and very accommodating and made me feel very welcome. I'm a new comer to BDW so I appreciated the friendly welcome. He's knowledgeable of the area and was great in providing recommendations for showers, restaurants and places of local interest. I had a very enjoyable time here and recommend this staying here. Mike welcomed us and shared informamation about Fernandina, we had wonderful visit. Mike helped us with our cb. It feels good here. With Boondockers Welcome you are not supposed to ask to stay more than originally agreed. Mike could sense that we were happy there and he offered a second night which we quickly accepted! I would describe Mike our host as genuine, witty and funny with intellect. He is easy to be around. Felt sad as we pulled away. We arrived a day early and were welcomed by a friendly ‘local’ who shared his knowledge and love of Amelia Island with us. Such a cheerful host! And so close to the ocean and Fort Clinch State Park and its miles of beaches. Thanks, see you again! Mike accommodated us on short notice and then again a 2nd night. Location is excellent situated between picturesque downtown and the beach. Easy safe walk downtown and we caught sunrise both mornings on the beach. Our kind of place! Park feel to the space that was provided. Great host, informative of area history. Our second visit with Mike, what a personable laid back guy with a wealth of local information. We love this little island town. Tips......1.) we were able to dump our tanks and fill up with fresh water at the local State Park (Fort Clinch) for only 6 bucks (day pass). Also nice beach areas in this park on the bay side and the ocean side. 2.) We stopped at the Atlantic Seafood Shack on Front Street, in town, and purchased some fresh Flounder and walked about a block to the Salty Pelican restaurant and they prepared the Flounder for us. We picked up this tip online - just be sure to say that you were on the fishing boat charter and they will prepare the fish as you like it. We did this because we did not like the catch of the day fish that the Salty Pelican offered that particular day. We highly recommend this BW stop - Mike & Fernandina Beach what a great combo. Mike is a genuinely nice guy! He hooked us up right when we got there and we had some great conversations. Thanks Mike for your hospitality and the info about the beautiful place you live!!! A congenial host and pleasant location. It was always a pleasure to see Mike’s smiling face when he came out to see that we were comfortable, but we think he mostly wanted to visit Sadie our chocolate lab. He provided us with recommendations, a map and info from the Welcome Center. As we left he told Sadie to come back and she could bring us along. Thanks for a great visit, Mike. This was an extreamly pleasant stay. Mike welcomed us into his home and spent time getting to know us. He was a warm and friendly host and we thoroughly enjoyed our stay. Thanks mike for sharing your world with us. Please try to make it over to us some day. If you want some great back history on Fernandina Beach, this is a great place to stay. Mike was very accommodating and very knowledgeable. He lent me a few books on the history of the surrounding area. I love researching places,so this was a plus. This was my first Boondockers welcome experience, and I was very impressed. Thanks Mike. Mike is a friendly local with generations of family roots in Amelia island. Fernandina Beach is an “old FL” historic town with a great sunset view and even better vibes. He is a most gracious host and people person who can give insider tips for restaurants, etc. A legendary stop for comfort plus. Thanks Mike! Great spot - close to quaint downtown, waterfront and beach. Large, quiet, shaded lot. Great host. He even provided an extension cord for the 15amp power and lots of welcoming advice and stories. He has had visitors from as far away as Europe. Welcoming and wonderful spot under the trees! Mike is a great host! The RV spot is in his huge side yard - gorgeous trees, easily accessible, easy to find. He had great suggestions and info for the area; all around really nice guy! We enjoyed Amelia Island so much we wanted to stay again, and Mike very graciously let us stay another night. Highly recommend. This spot is in between the beach and the downtown - walking distance to both. We LOVED it here! This home is a great spot itself having a nice big yard and shaded from the sun. Great host and enjoyed talking and getting to know one another! Would definitely come again and wish we had the time to stay an extra night! Mike was a great host for us. We got to his place Friday evening and he suggested places we might find music and other interesting places around town. The next night was even better as he actually took us with him to a bar that had a great band playing and we had a great evening together. Great spot to camp in his yard and a great location to be. Gotta meet up with this guy again. Mike is a very generous host. He had wait for us in the front of his house and were very helpfull. We really appreciate his property. It's quiet and near the lovely town of Fernandina and Fort Clinch state park. We recommend this location. This was our second visit with Mike, a kind and generous host with a wealth of knowledge about this area. His location is halfway between beautiful beaches and the charming historic downtown area. Mike is a great guy with an easy going personality. Helpful and made certain my stay was comfortable and successful. I've enjoyed getting to know him and hope to stay in touch. This is my first boondockers stay and Mikemac58 has certainly been welcoming. Prompt communication too. Thank you! We highly recommend Mike's place if passing through! Mike is a wonderful person who is friendly, open and accommodating. His yard is the best, he hooked us up to his electric and water. What a gift to us. We were only going to stay for a couple of days and we ended up staying 4 more nights. Fernandina is a place where people should visit at least once. A promise to Mike was we wouldn't move here. (yes we thought about it) Thank you Mike for all the help of the extra days and a car ride back to your place. We appreciated Mike's hospitality kindness and quick response to our request. We will give Mike a 10 with 4 thumbs. I cannot explain the kindness of Mike in a few words, I would need a whole page. The place is secure and welcoming, the neighborhood very calm. The cherry on top is Mike of course, I will let you discover him, you'll thank me later. I highly recommend this host. We stayed one night with mikemac58 and it was great! The spot was easy for us to access and we got a great night's sleep (much needed!). Mikemac58 gave us plenty of local tips for things to enjoy during our stay and we appreciated his hospitality. Hopefully we will run into him again in our travels. Thank you! Great location. About a mile to downtown and a mile the other direction to the beach. Easy walk or bike ride to both areas. Mike was born in the area, so he has vast knowledge in about anything you would want to know about visiting the area. Had nice quiet place to overnight and Mike was wonderful to talk with. If not for other commitments, I could have stayed and talked for untold nights with him. Thanks again Mike! Mike is a warm, helpful and outgoing person who is always willing to guide you in any way he can to make the most of your stay there. Large semi-wooded location behind the house was just minutes from everything. 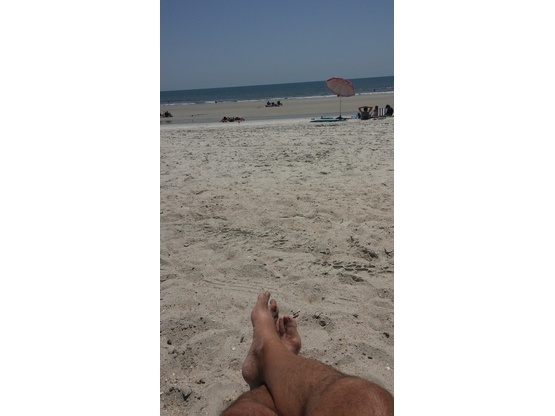 I thoroughly enjoyed getting to know Amelia Island, Fernadina Beach and Mike. We had a wonderful time staying with mike. A very genuine person and very knowledgeable about the area and its history. We cant wait to come through again!! Thank you for a great experience! We spent 2 days very quiet and comfortable. Our host is very nice. Really enjoyed this location within walking distance to many good restaurants, stores, marina, and more. Mike very welcoming. Hope to visit again. We recently spent 2 nights at Mike's home. It was a good experience. He was very friendly and made us feel welcome. He helped us plan our visit to Amelia Island by supplying lots of local information. The facilities were as advertised and worked well for us. We appreciated the opportunity to stay with him as it was Spring Break and local campgrounds were busy. Thanks Mike. Friendly and outgoing hosts. Easy parking & a nice neighborhood. Very helpful with local information. Hope to see them again one day. Great location - great guy!! Stayed with Mike in Late December on a trip south. Driveway location was fine and level enough for overnight. Mike welcomed us and introduced us to his very charming mother who stays with him. She is a real fine "Southern Lady" who has lived here all her life and is quite interesting to talk to. Mike gave us some oranges from a tree in his back yard (WOW - oranges fresh off the tree....yum!) and introduced us to a viewing of the Space station which flew over Florida that night. The town of Fernandina Beach is one of those hidden gems that are generally thought of as the "real old Florida" type of place. Yes it has some tourist appeal but not in the usual tacky (Panama City Beach) tourist trap type of place. We strolled the main street and visited Florida's oldest tavern - the Palace Saloon. This place is a must if you visit. Like going back in time. Not updated or touristy - just a real old time Florida tavern. Mike will always be welcome if he ever decides to come up our way.